According to the Kemper Museum, Magnetic Fields is the first museum exhibit in the US to show abstract artwork created exclusively by women of color. KANSAS CITY — Art history rarely gets it right the first time, but the established accounts of American abstraction that canonized particular artists before the paint on their work was dry, is proving particularly vulnerable to criticism. Whether due to a rejection of the staggering certitude of Greenberg’s formalism, the deep veins of racism/classism/sexism running through twentieth- century criticism and curation, or the closely guarded access to institutions of art, these historical narratives are undergoing an intensive curatorial corrective. An important achievement towards this end is Magnetic Fields: Expanding American Abstraction, 1960s to Today, organized at the Kemper Museum of Contemporary Art in Kansas City, by independent curator Melissa Messina and Kemper’s director of curatorial affairs, Erin Dziedzic. The exhibition, generously funded by the NEA and the Andy Warhol Foundation, is on view through September 17, after which it travels to the National Museum of Women in the Arts in Washington, DC. According to the Kemper, this is the first museum exhibit in the US to show abstract artwork created exclusively by women of color. 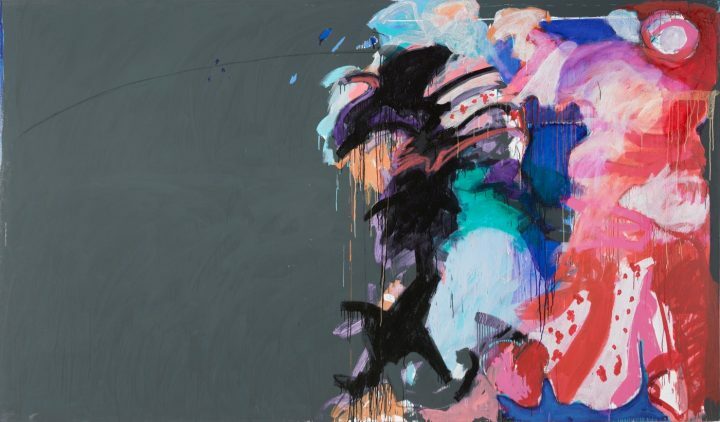 Stylistically varied and teeming with formal flights of bravura, the exhibit seems to engage the magnetic forces of the Mildred Thompson painting from which it takes its name. Magnetic Fields follows closely on the success of the 2016 Women of Abstract Expressionism, at the Denver Art Museum, which I viewed. That show was, in itself, a convincing challenge to the popular conception of Abstract Expressionism as a boy’s club. The well known 1950 Life magazine photograph of the Irascible 18, aka the New York School included only one woman, Hedda Sterne, who later would note that all the men were furious about her inclusion, thinking her mere presence would detract from the profound seriousness of their endeavor. The Denver show, which traveled to Charlotte, NC and Palm Springs, CA, featured mostly exemplary work by 12 women within the circle of the Abstract Expressionists. Of course, as in any broadly conceived group show, many were left out. Someday, for instance, I’d like to see Janet Sobel’s 1944 drip paintings — admired by Pollock and which Greenberg would later cite as the first instance of ”all-over” painting — placed within an Abstract Expressionist context. But it was an eye-opener to see the bold yet underappreciated works of Judith Godwin, Perle Fine, and other even less known women from the period. 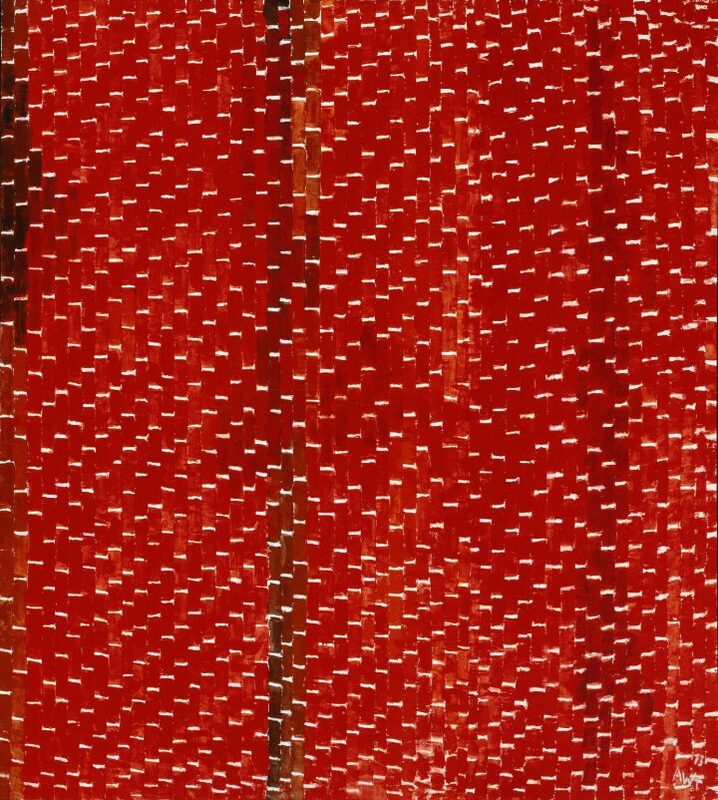 Magnetic Fields opens my eyes even further, pointing out work by Alma Thomas, Mildred Thompson, and Howardena Pindell that could expand the Abstract Expressionist canon even further. 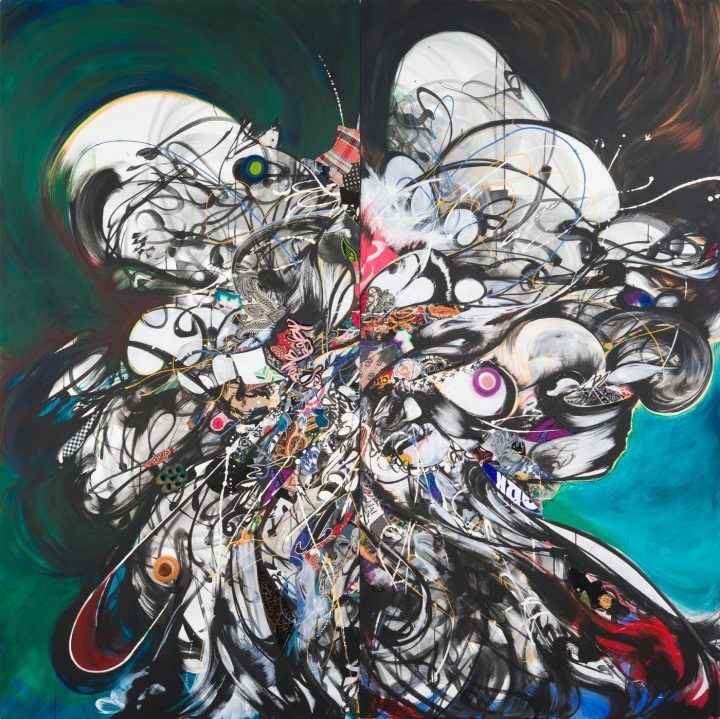 To be clear, Magnetic Fields focuses on work from the 1960s to the present, but both Thomas and Thompson were working in New York in the forties and fifties, in the abstract expressionist style, right alongside their better known colleagues. Like those in the Denver Museum exhibition, these three artists struggled against derision from their male peers, lack of access to the art institutions, holding down multiple jobs with paltry wages, and the demands of raising a family. But add a history of racism — both insidious and blatantly overt — and the achievements of the 21 African American women in Magnetic Fields add some serious grit to the much mythologized heroics of Life’s portrait of the 17 men topped off by the rather lonely figure of Hedda Sterne. The courage, tenacity, and fortitude of these women are described in their stories and those qualities reverberate in the artworks on display. In a panel discussion at the Kemper, Lilian Thomas Burwell described her lyrical, shaped paintings in the context of her own family’s struggle during the Northern migration. In a 2006 artist statement, Pindell wrote of the small circular shapes comprising her mixed media abstractions, making a connection to childhood memories of strange red circles drawn on the bottom of root beer mugs “to designate that the glass was to be used by a person of color.” These small, confetti-like shapes comprise much of her work from the late seventies and early eighties. Here, in “Autobiography: Japan (Shisen-do, Kyoto)” (1982) they are combined with scraps of tickets, exhibition guides and other ephemera into a crusty, dimpled, and obsessively constructed self image. Fifty years later it is notable that, didactics or no, the work of these women can be said to express most vibrantly, “the goodness and beauty of Blackness,” as well as its enrichment of the larger visual culture. Magnetic Fields: Expanding American Abstraction, 1960s to Today, continues at the Kemper Museum of Contemporary Art (4420 Warwick Boulevard, Kansas City, MO) through September 17.